As was discussed in the first post of 2017, “The Loudest vs Quietest“, the ego is a core element in our daily lives. Everyone reading this article is motivated by the instinctive nature – right from birth – to want to satisfy their own needs first. The ego totally rules. That’s neither good or bad, it just is. However ignoring this very basic fact-of-life during presentations or engagement with others is bad. Very bad. If you think you can get someone to think about purchasing anything from you without you showing concern for their ego – their core needs – then you are you are letting your own ego rule you; to your detriment. Well, we are all so vain. We all think everything is about us. If it’s not about us, we want to figure out how to make it all about us. We are all self-centered first and foremost. Therefore, breaking our natural bonds with our own instincts of self-interest can take some practice when we are around others of our species. Making others feel like you care about them and their needs ahead of yours often requires you to engage in deliberative and conscious actions and language. This is an action, not an act. You are not acting. You are simply taking on a different perspective. I am not asking you to fake interest, I am asking you to think about your word choices. I am advocating making word choices that will still rely on your authentic voice but will also draw on your prospect’s natural ego-centric point-of-view. BETTER: Thanks for your kind words. It’s people like you, showing your appreciation, that creates the motivation for this work. Your first few words set the tone for the rest of your engagement. Start by finding some way to acknowledge that you value this person and their interest in your work. Replace I, Me, My, and Mine with YOU and YOURS as much as is practical. You might also use the word “Collector” and allude to the infamous “they” from time to time depending on your particular situation. If you aren’t comfortable with the word collector (yet) then use “People”. Those statements are terrific templates for sharing features and benefits that make owning your work a joyful and credible experience. They are a form of third-party endorsements and they are easy to incorporate. This is a strong way to present information because my work is exceptionally light. Therefore, they were told something that was true. And that creates a belief that what I say can be trusted. And – if I am fortunate enough to fit into their “style” – their interest levels will continue to rise. 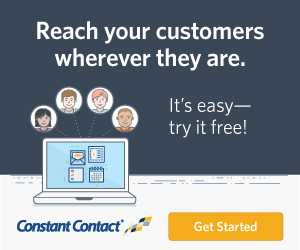 They move quickly from the Awareness stage into the Consideration stage of the Buyer’s Journey. The more you can move people from Awareness to Consideration, the more likely they are to move into the Decision stage. The more you avoid I, Me, My, and Mine, the quicker they will transition to Consideration of ownership. 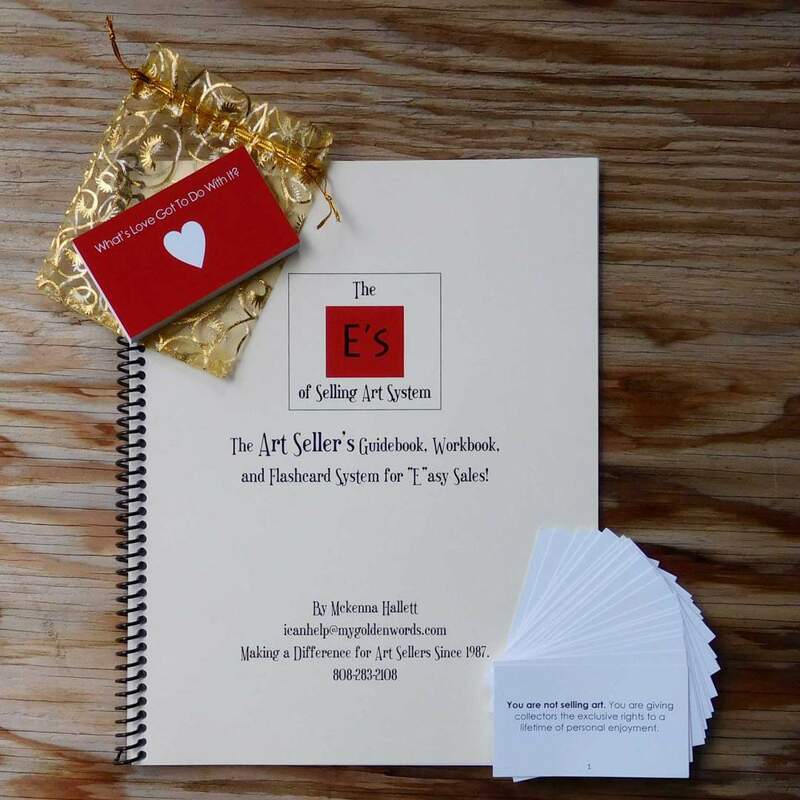 Before your next art fair or public event, take the time to re-read the E’s of Selling Art System. And revisit the inspirational flashcards. Then take out paper and pencil and do the exercises. I know you did it already. But you will thank me when you do it again from scratch. Don’t look at your previous answers! Start fresh. Selling anything – but especially art – is an ever-shifting landscape. Shake up your brain and your heart. Get deeper into your art. Get deeper into your collector’s heart, too. Practice using You and Yours. 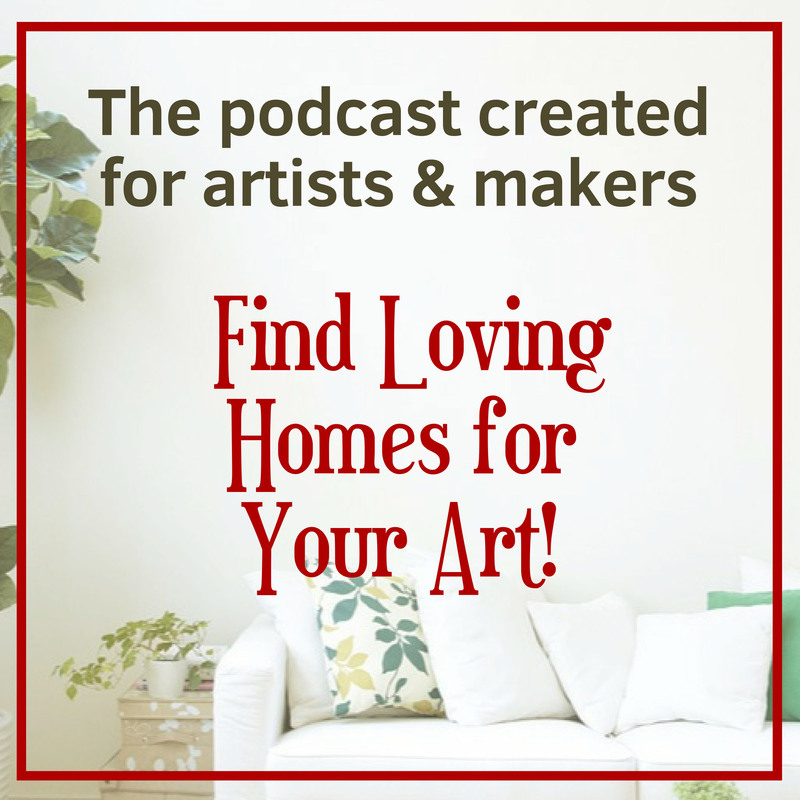 Find more homes for your art. Want a FREE Set of the E's of Selling Art Work Sheets? You may not get as much from them if you don’t have the full system, but they can help anyone who wants to find more homes for their art! 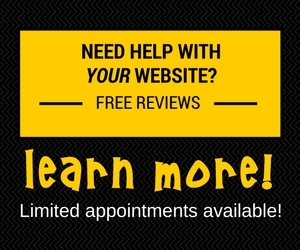 Click to request a fresh set right now! As always, you hit the nail on the head, Rebecca. “Natural self-centeredness” is… well… so natural, right?! 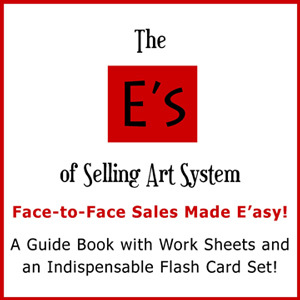 It’s one of the reasons so many people get so much from the “E’s of Selling Art System”. It has those fabulous “affirmations” (along with the flashcards) to tilt the artist’s brain towards wanting to find homes for their art, not just tell their own stories. It’s always ALL about THEM!